Memorial Weekend is almost here and our plans were canceled so I intend to emboss all weekend long. What better way to start the day than with this cute idea from Lasting Impressions. 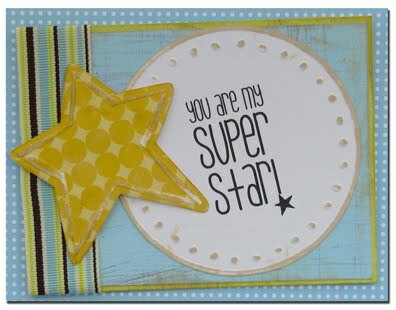 It's a great all-occasion card for the super "Star" in your life. 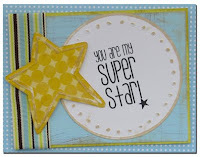 Donna what a fun Star card! I'm on a star kick since I got a star die a few months back and never used it until recently. You should pop by my blog and check out the little project I made Evan's best friend for his Birthday.